If you’ve ever tried to optimize a website, you know the process gets much easier with SEO tools. Yet there are so many options out there that searching for “value-for-money” tools can be rather frustrating. To save some of your time, I’ve decided to compile a list of SEO tools proven over time by me and my SEO peers. Best for: Optimizing your site from top to bottom. What does it mean? Any imaginable SEO task is covered by SEO PowerSuite. No third-party tools are needed for running an SEO campaign. The suite gives you unlimited access to all of your site’s data. What’s more, you can run competition analysis and reverse-engineer the uncovered tactics of your competitors. SEO PowerSuite is being constantly enhanced with new advanced features and functions. For example, now its users have access to the freshest and ever-growing backlink index. Perks: Google Analytics & Google Search Console integrations, 24/7 customer support, live webinars, training database. 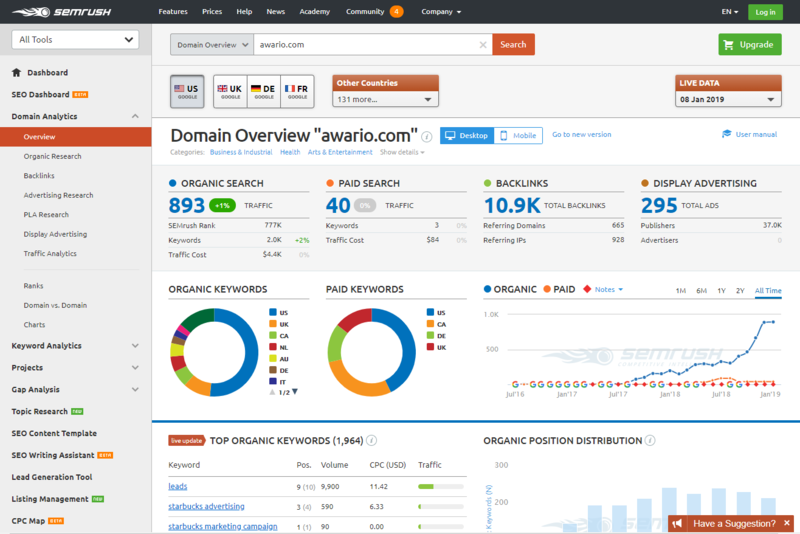 Pricing: SEO PowerSuite is available in three plans: Free, Professional ($299), and Enterprise ($699). Best for: Running SEO, PPC, and social media campaigns. So, as you can see, SEMrush is a great tool for covering various sides of a marketing campaign where you should simultaneously manage SEO, PPC, and SMM. What’s more, SEMrush is constantly developing new features for the tool. For example, in 2018, they launched a new technical auditing tool – Log File Analyzer. Perks: Social media tools, easy-to-use UI, live webinars. Pricing: 7-day free trial. The Pro plan comes at $99.95/mo, Guru – $199.95/mo, Business $399.95/mo, Enterprise – per request. Best for: Thorough backlink analysis. Ahrefs is well-known as a really powerful backlink tool. No wonder – it has one of the largest indexes of live backlinks. 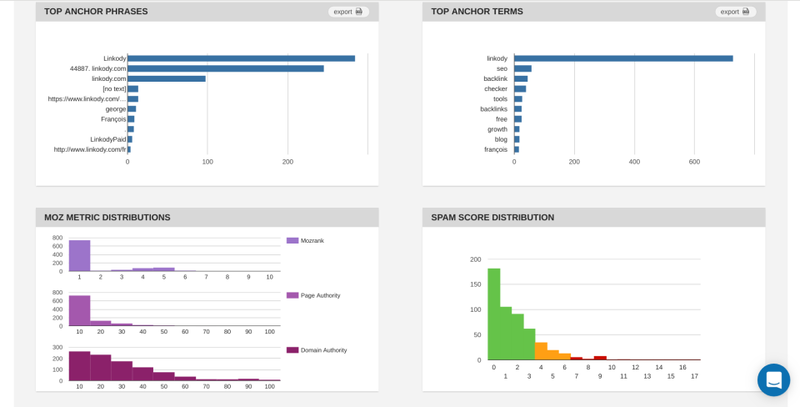 web monitoring – alerts of your competitors’ new or lost backlinks; brand mentions. To sum it up, Ahrefs is THE tool if you want to know why your competitors rank so high and how to use their strategies to occupy their place. Perks: 24/7 customer support, new features released regularly, training materials. Pricing: Start trial for $7. The Lite plan comes at $99/mo, Standard – $179/mo, Advanced – $399/mo, Agency – $999/mo. Best for: Thorough technical site audits. – Recover from Panda- or Penguin-related penalties. Whether you have an enterprise-level site or small business, the provided audit granularity will be an asset for further analysis and improvement. Perks: Easy-to-use UI, Google Analytics and Google Search Console integrations, AMP metrics, data breakdown per device, training materials. Pricing: 14-day free trial. The Starter plan comes at $89/mo, Basic – $139/mo, Corporate per request. Majestic is a powerful crawler that discovers all backlinks any site has and runs an accurate domain authority analysis. The backlink database is so vast, there’s an option to choose between the historic and fresh (from the last 90 days) index. – compare backlink profiles for up to 10 domains. This way, Majestic is equally valuable to SEOs, webmasters, and media professionals. Perks: Browser plugins, Buzzsumo integration, training materials. Pricing: The LITE plan comes at $49.99/mo, PRO – $99.99/mo, API – $399.99/mo. Best for: Tracking the success of SEO strategies. Google Analytics is a web analytics service that monitors and reports on website traffic. If you run an SEO campaign, Google Analytics is a priceless tool to measure the campaign’s success. When you have the data, you can then make improvements to your strategy. – Track what your visitors search while on your site, and many more! The data is efficiently visualized in real time and can be easily exported. Plus, it’s possible to set up experiments and follow their progress right in the dashboard. Perks: Info visualization, fluid UI, browser extensions. Pricing: Free. Enterprise Analytics 360 plan (for a mammoth piece of data) is per request. Best for: Measuring site’s search traffic and performance. Google Search Console is another essential tool for a webmaster. It’s been recently updated and enhanced with a number of new reports (with a share function and filters) and a URL inspection tool. The best thing, the data range period was expanded from 3 to 16 months. 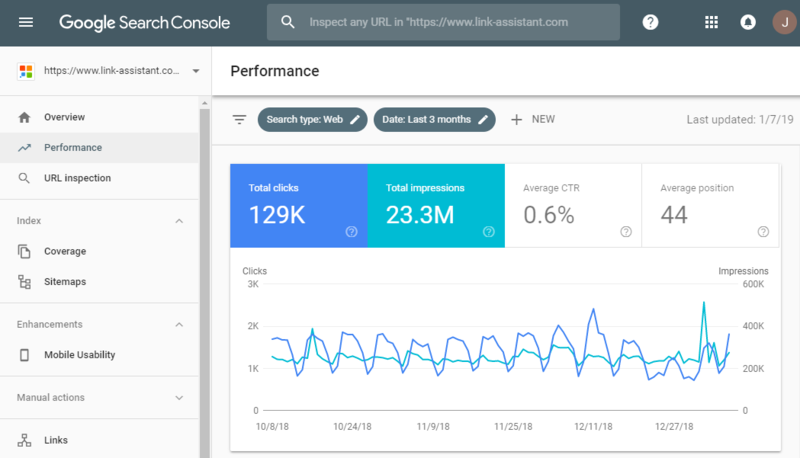 Google Search Console gives you data on problem spots in your site as well as ways to fix them. As soon as everything’s perfect, you can validate your fixes and ask for a recrawl right in the dashboard. I personally love the breakdown into queries and pages where you can see which queries are attached to which pages and vice versa. It’s also possible to extract this data to Google Sheets via an extension. If you run and optimize a site, Google Search Console is a must. Similar to Google Analytics, due to a vast number of features, you can feel rather lost at first. Don’t worry, by using your own field training as well as third-party sources, you will master this tool. Perks: Alerts, Disavow tool, export options. Best for: Showing how to speed up a site. 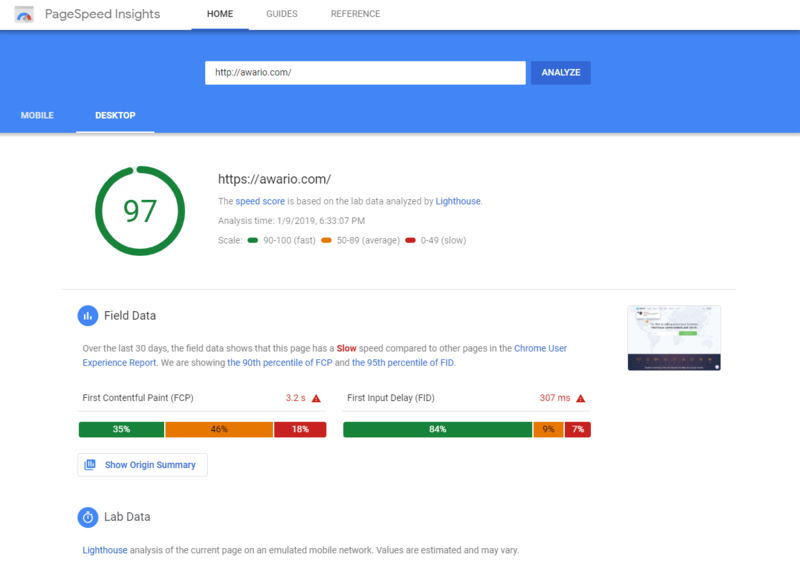 PageSpeed Insights is yet another Google tool. However, in 2018, it got increasingly essential for any webmaster, as mobile page speed became a Google ranking factor (while desktop page speed has been one for a while). The tool doesn’t only show your current mobile and desktop speed by giving you a score, it also gives you cues of what may slow down your site along with handy recommendations for fixes. Note that if Chrome reports do not have much historic info about your site, the tool will return N/A score. Perks: Breakdown to field data and lab data, breakdown to mobile and desktop, guides for optimization. Best for: User behavior analytics. 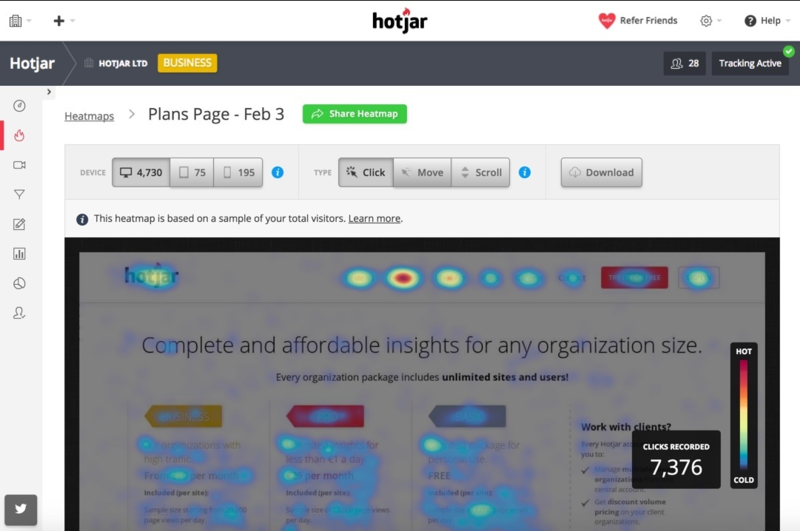 Hotjar is a platform where you can create heatmaps (of clicks, taps, scrolls), conversion funnels, polls, surveys, etc. to analyze user behavior. 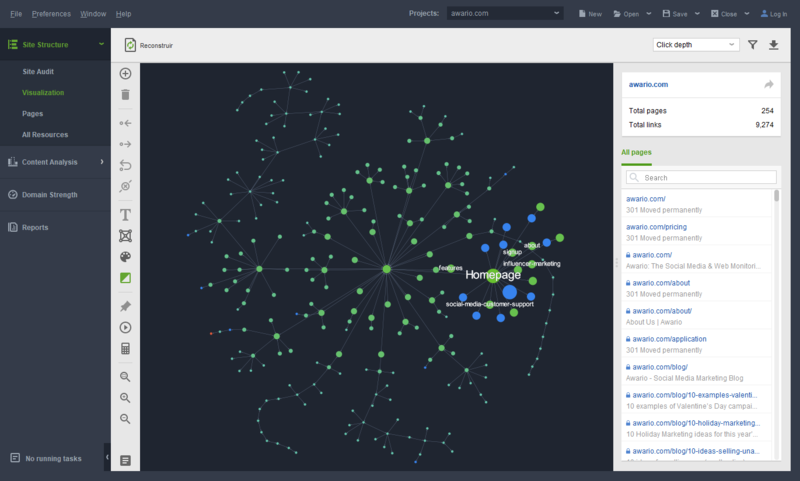 Such visualizations will give you an idea of what users pay attention to when visiting your landing pages. It’s a great way to detect possible usability problems and further improve UX on your site. Or to run experiments when planning some major changes. It’s a great tool to combine with Google Analytics. Google Analytics tells you where the problem lies, Hotjar tells you why it happens. Perks: Easy-to-use UI, training materials, webinars. Pricing: There are two plans for personal use. The Basic plan is free. The Plus plan comes at €29/mo. Rates for business plans depend on the number of pageviews you need per day (20,000 – 800,000) and come at €89-989/mo. In case you need 2,000,000 pageviews/day, you will receive the rate per request. Any business plan has a 15-day free trial. 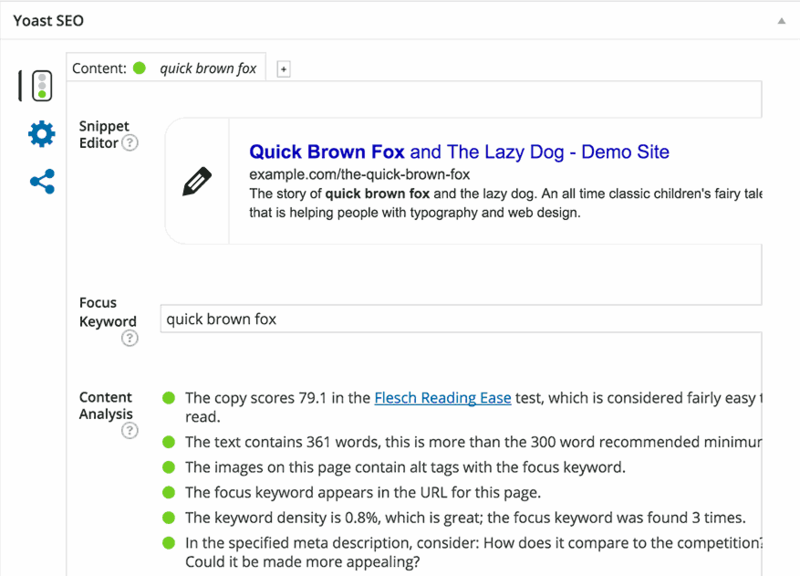 Yoast is a WordPress plugin that makes SEO user-friendly for everyone. This plugin has a wide range of features essential for site optimization: content creation, keyword research, content analysis, technical audit, social management, sitemap management, etc. Yoast can be used by everyone who deals with WordPress-based sites. But it’s notoriously a great kickstarter for new sites that usually find it rather challenging to compete in search results. Why? For example, it lets users set up titles and meta descriptions for their posts. It makes it easy to create a sitemap or add a basic schema markup. Once you want to go further with your SEO, Yoast provides such features as local SEO, video SEO, internal link recommendations, etc. Perks: In-built onboarding process, a wide range of add-ons, training courses and materials. Pricing: The tool comes in two plans: Free and Premium at $89 per site. Best for: Keyword research and SERP analysis. Moz Pro is a toolkit for full-cycle campaigns, but most people love using it for keyword research and rank tracking. So, if you know this tool only for its ranking management, mind that Moz Pro has replaced its crawler with a more sophisticated one which is bigger and faster. If you’ve never used it, then note that it’s a great tool for saving your time. Why? It covers all aspects of an SEO campaign besides keywords & rankings: technical audits, page optimizations, and link building. 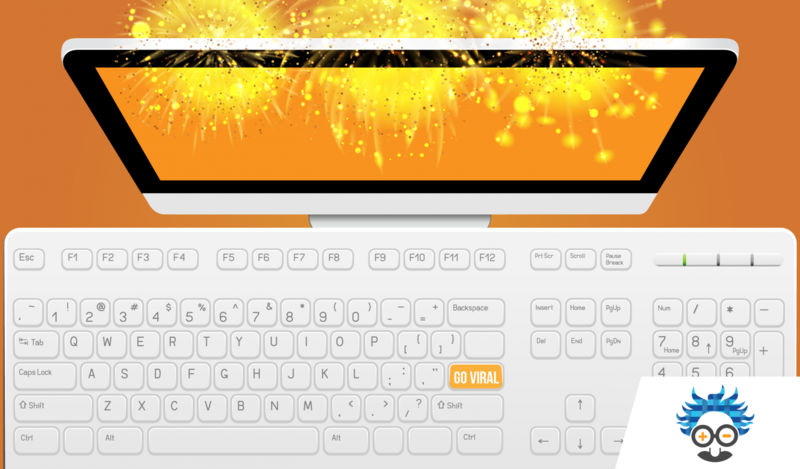 Users also love Moz’s browser extension, MozBar. 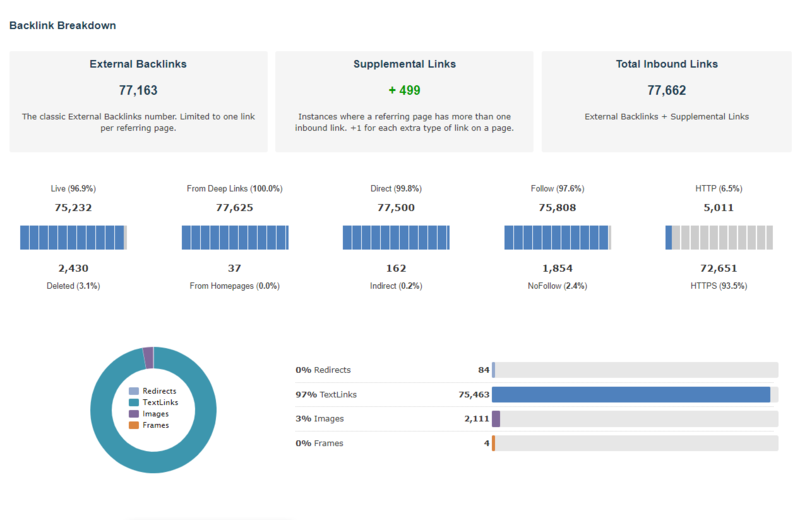 By installing it, you get instant access to metrics of any page or SERP viewed. Perks: Free browser extension, training materials, 24/7 customer support. Pricing: Free 30-day trial. The paid plans are Standard at $99/mo, Medium – $179/mo, Large – $249/mo, Premium – $999/mo. Moz Enterprise is per request. Best for: Competitive marketing intelligence. 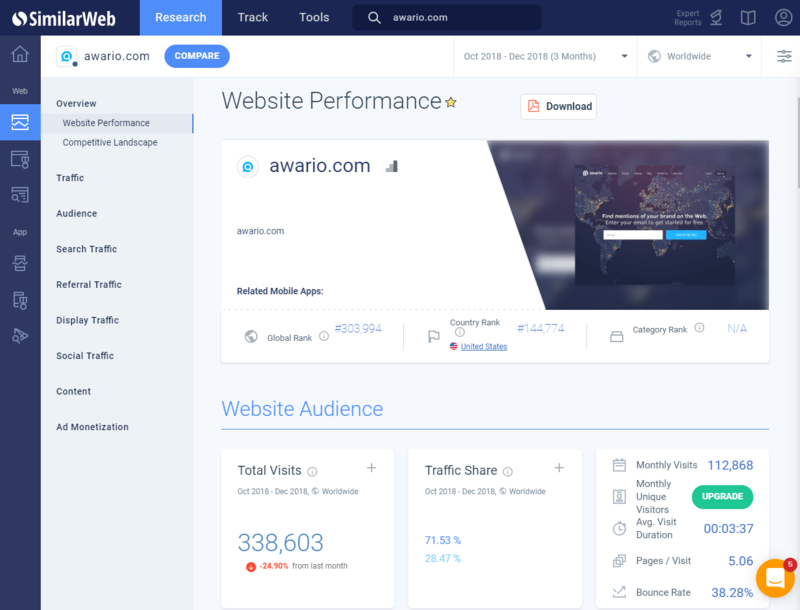 SimilarWeb is a global cross-device market intelligence platform for analyzing any website or app. It works really well for developing digital strategies on the basis of competitors’ traffic and its sources. It’s also a good fit for finding similar businesses to use them for prospecting. Mind that the tool usually shows info only for sites with high traffic, so you won’t get any data for a new site. SimilarWeb is usually used in combination with Google Analytics to make sure the data is accurate. Perks: Browser extension, easy-to-use UI, training materials. Pricing: There are two plans: Free and Enterprise (rate per request). 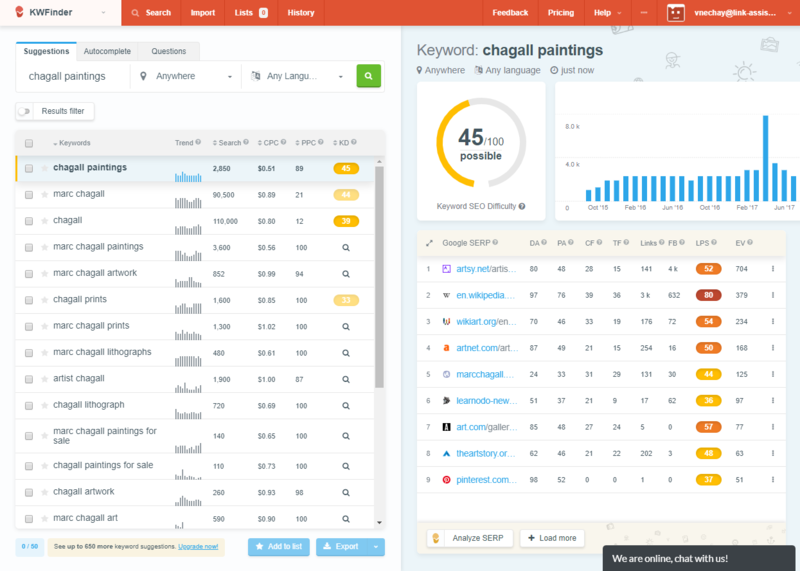 Best for: Keyword research and rank tracking. Though Serpstat is an all-in-one SEO tool, many users love it for keyword research and rank tracking. The service can be used for competitor analysis, which can be a great source for keyword ideas. What’s more, Serpstat tracks all top 100 search results for a keyword as opposed to only rankings for one domain for the tracked keyword. So no need to create projects for all your competitors. If you’ve never tried Serpstat, mind that you can use it for running comprehensive SEO campaigns. It has tools for performing site audits, backlink research, and PPC analysis. Perks: Easy-to-use UI, training materials, browser plugin. Pricing: It’s possible to see Serpstat in action by contacting the team. There are 4 personal plans, from A to D ranging from $19 to $299 per month. And 4 business plans, from E to H, ranging from $499 to $2,500 per month. Best for: Finding lower-competition keywords. KWFinder is a keyword research tool which makes it easy to find long-tail keywords that are more likely to convert. It pulls suggestions for related terms and shows such metrics as search volume, cost per click, keyword difficulty, etc. 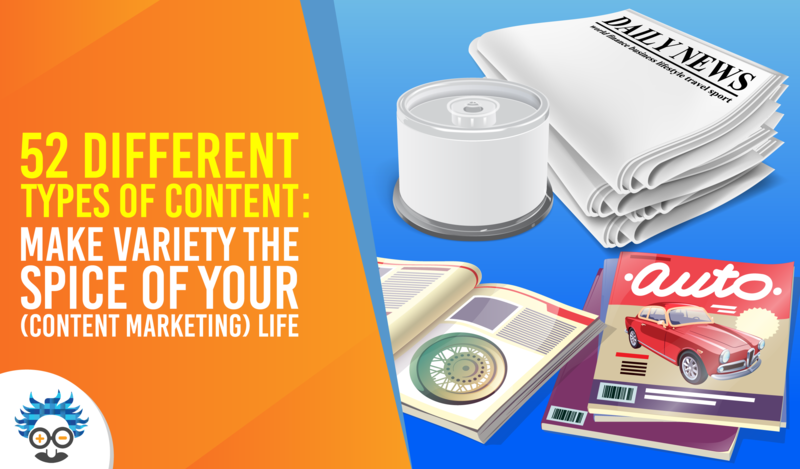 By comparing those, you can see which terms are lower in the funnel, and target those. When doing keyword research, it’s possible to indicate the exact location and language to get precisely localized results. 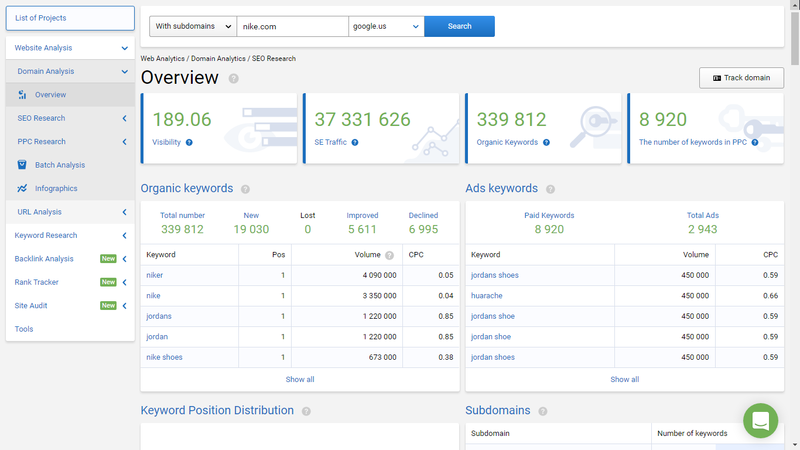 The tool also runs SERP analysis (Domain Authority, Page Authority, number of links) to reveal the strategies of your competitors. KWFinder is very easy to use, so it’ll work great for any-level SEO. Plus, it has both SEO and PPC metrics, which makes it a great find for both organic and paid search campaigns. Perks: Google Suggest integration, training materials. Pricing: Basic plan comes at $44/mo, Premium – $62/mo, Agency – $116.10/mo. Searchmetrics can be used for all aspects of SEO, but its main focus is on content optimization, rank tracking, keyword research, tech audits, and competitor analysis (in a number of countries) for desktop, mobile, and local search. 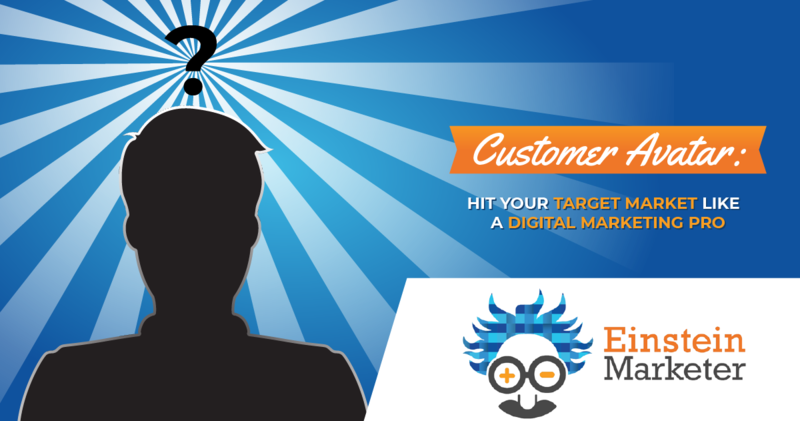 The tool is priceless for digital marketers. It’s usually a struggle to make revenue out of marketing potential. With the toolkit, it’s possible to determine and act on customer’s intent by analyzing, measuring, forecasting, and reporting on all marketing campaigns. Plus, every webmaster will love the visibility score that measures the size of desktop and mobile online presence. Perks: Mobile app, a number of integrations (Google Analytics, Adobe Analytics, IBM Digital Analytics, etc. ), 24/7 customer support, webinars, training materials. Pricing: There are 3 plans – Business, Enterprise, Ultimate. The price comes per request. AnswerThePublic is an online service that pulls different kinds of questions using your keyword, in different languages, for about 200 countries. 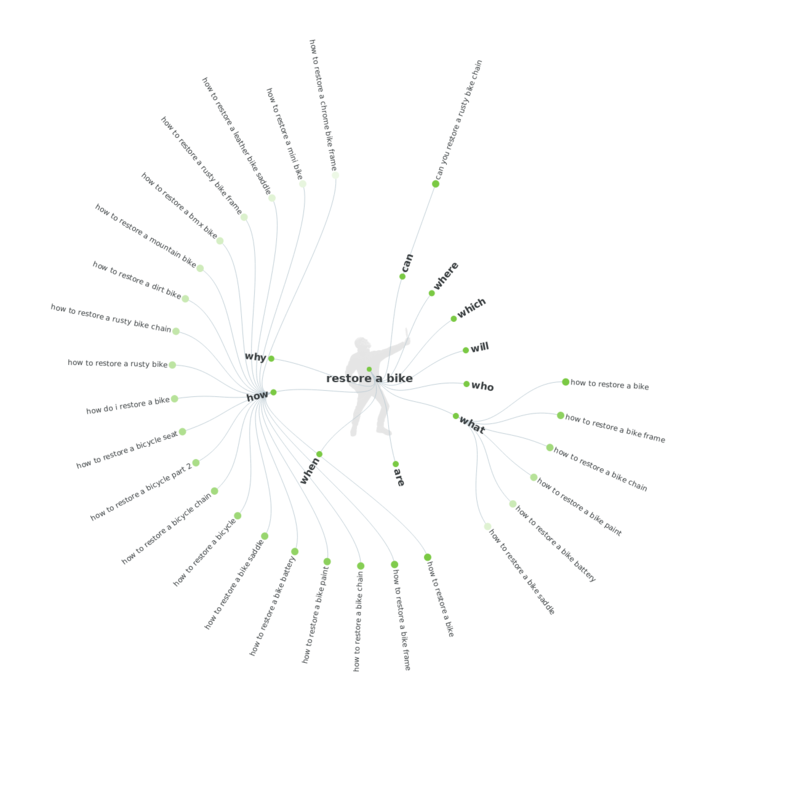 As a result, you get neat visualizations of all the possible questions, phrases with prepositions, comparisons, and long-tail keywords. If visualizations aren’t convenient for you, you can view the results as data lists or download images/CSVs. Of course, you shouldn’t rely solely on this service, as not all the suggestions will always be relevant. But this platform can be a great source of inspiration, especially when you need to create content optimized for voice search. Perks: Automated process with immediate results hyperlinked to Google search results, free email training course. Pricing: The Starter plan is free, the Pro plan comes at $99/mo. Mind that with this platform, you won’t get an easy-to-navigate dashboard that integrates the data from all in-built tools. Instead, you will receive different kinds of reports from each tool that you configured and ran. However, there’s an option to select data in one of the reports and then run it in another tool. It’s also great for teams. From your user management dashboard, you can invite other users and then view their reports. Perks: Browser extension, training programs. Pricing: 7-day trial for €77. The Superhero Small Business plan comes at €359/mo, Superhero Startup – €599/mo, Superhero Plus – €999/mo, Superhero Brand – €2,499/mo. Best for: Automated link building and tracking. Linkody is a platform where it’s possible to get the most comprehensive link profile for any domain. You can also clean your link profile of unhealthy links, discover link building opportunities, etc. The whole process is automated. In case you acquire a new link, the tool will identify it and notify you. The same goes for the lost links. The best thing – you also get notified when your competitor acquires a new link. It’s one of the best “value-for-money” tools. So, if you don’t have a favorite backlink tool, this is the one you should try. Perks: Alerts, easy-to-use UI, responsive customer support. Pricing: 30-day free trial. The Webmaster plan goes at €13.90/mo, Advanced – €22.90/mo, Pro – €46.90/mo, Agency – €94.90/mo, Agency XL – €134.90/mo. Best for: Efficient website marketing reporting. Raven toolkit (45-pack) is a platform for full-cycle SEO campaigns (audits, keyword research, backlink analysis, rank tracking, social media management) with really strong SEO and PPC reporting functions. The reports are efficient, customized, automated, and data-packed due to a great number of integrations: Search Console, Google Analytics, Keyword Planner, Ads, social channels, Mailchimp, and many more. On the basis of this vast cross-channel data, it’s easy to understand who your buyer persona is and increase your revenue. Perks: Training materials, robust filtering. Pricing: 14-day free trial. The Freelancer plan comes at $39/mo, Start – $79/mo, Grow – $139/mo, Thrive – $249/mo, Lead – $399/mo. Enterprise pricing is per request. 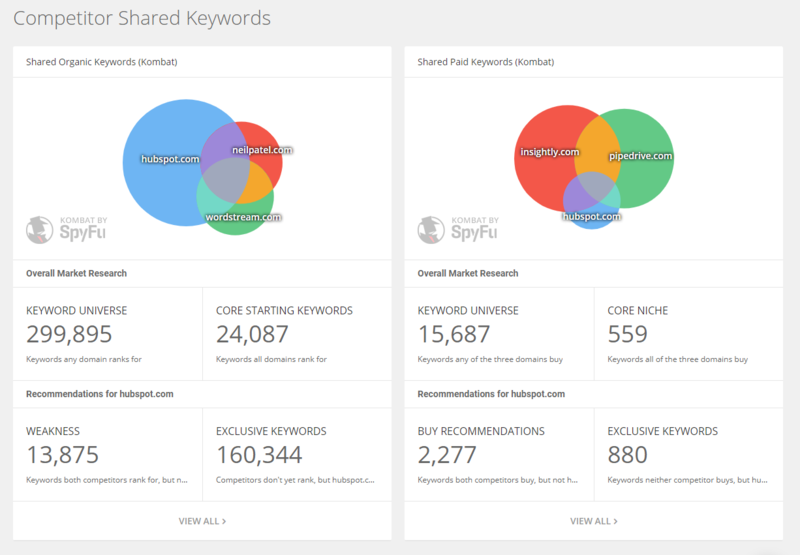 SpyFu is a research platform that spies on your competitors: keywords, content, backlinks, ads in both paid and organic search. It also allows you to compare your site to the competitors’. SEO agencies and consultants love to use SpyFu’s data to gain clients, help their customers, and research new markets and niches. Users love using this tool for link prospecting, as it also scrapes all the information a domain has: social media info, email, phone, address, etc. Perks: Simple UX, training materials. Pricing: The Basic plan comes at $39/mo, Professional – $39/first month, $78/mo thereafter, Team – $299/mo. Yes, 20 tools still look like a lot. I hope, though, it’s now clearer which ones can be particularly useful to you. Still in doubt? Generally, if you are a newbie, start with an all-in-one toolkit to make sure your SEO’s every aspect is backed up. If you are an SEO wolf, then try specialised tools (plus those within a toolkit) that do a specific task notoriously well. Anyway, if you don’t try, you will never know. Grab some of the tools from the list and take them for a test-drive. Aleh Barysevich is Founder and Chief Marketing Officer of Link Assistant, a professional software for full-cycle SEO campaigns, and Awario, a social media monitoring app. 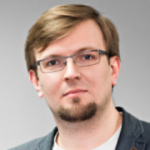 He is a seasoned SEO and social media expert and speaker at major industry conferences, including 2018's SMX London, BrightonSEO and SMX East. Thanks for sharing this list. I’m familiar with many of these tools but have more experience with SEMrush and ahref. Of course we have common tools like Google Analytics, Yoast, PageSpeed Insights and Google Search Console. Without tools, SEO would be very near impossible. Though some of these tools are quite pricey, they are worth it.